In the West, Shigesato Itoi is most famous as the guy who made the Mothergames. But in Japan, his main job has been copywriting, including penning taglines for Studio Ghibli movies. Itoi’s Ghibli connection is deeper than that. Not only has he written copy for Studio Ghibli posters, but he also voiced Tatsuo Kusakabe, the father in My Neighbor Totoro. It’s no accident that the first Ghibli tagline he did was for that film. Itoi hasn’t done all of Studio Ghibli’s taglines, but he has done many of them. Via Japanese site Ghibli Goods, let’s take a look back at the standouts. 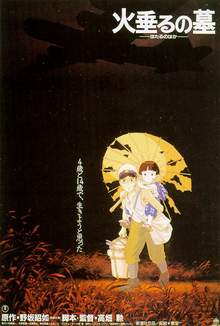 The last Ghibli movie that Itoi wrote copy for was Tales from Earthsea, and since then, Studio Ghibli producer Toshio Suzuki has written the films’ taglines.